Send us a photo of your counter. We use encrypted connections. Your purchases are safe. 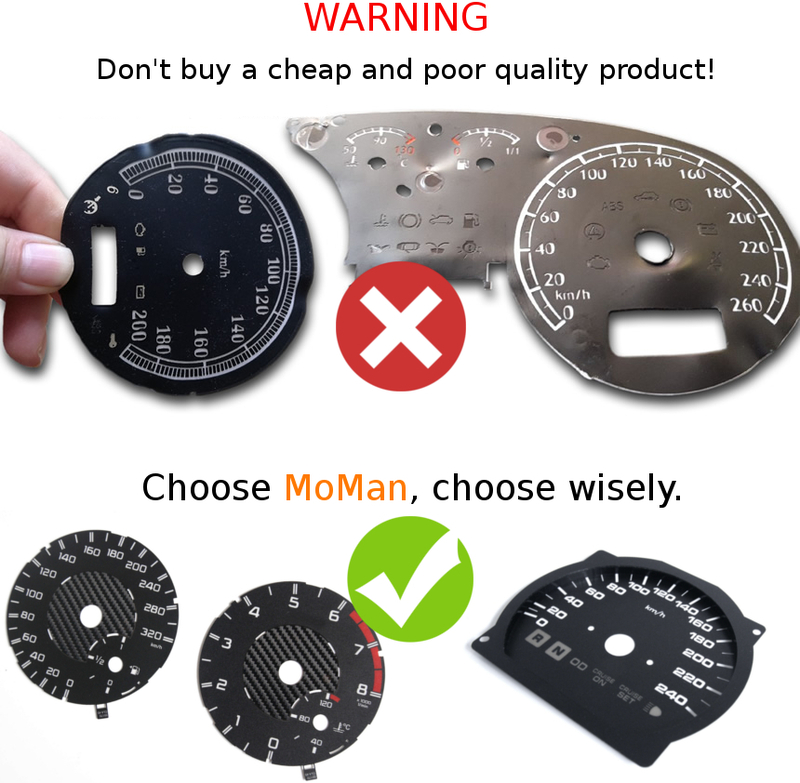 If there are no dials for your car or design that you are looking for, in our offer – please contact us via email. Our mission is to provide you with the best products and the best service in the automotive industry. We understand that sometimes, customers change their minds about products that they order or simply do not need them anymore. We also know that customers are cautious about Return Policies since they are often tricky and misleading. Our goal is to make the return or exchange process trustworthy and as simple as possible. 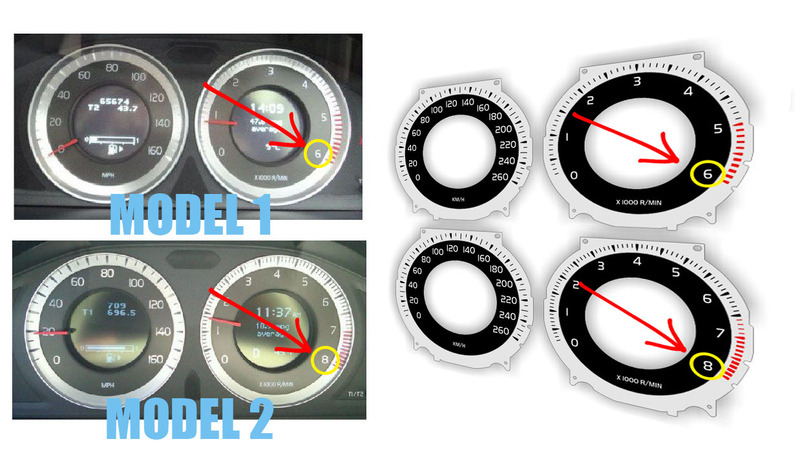 Gauges that were made as custom order, based on individual client’s requirements are non-returnable. Please let us know which particular products you would like to return and what is the reason of the return. A guarantee, warranty or right to withdraw from a contract will not be applicable, when a product is affected by mechanical damages of external origin. Therefore, before collecting a parcel from a post office or from a courier it is recommended to check if the packing has not been damaged during transportation. Your attention should be particularly drawn to the condition of the bands and seals on the shipped parcel. In case a shipment packing bears signs of a damage or the seals (bands) are torn off you should not accept such a shipment and you should draw up a damage protocol in front of a courier and contact the seller as soon as possible to explain this matter. Checking a parcel at the collection time is a required condition to take into consideration any possible Client’s claims due to a damage or a theft occurred during transportation. We all know that accidents happen sometimes. If your products arrive defective, damaged, or simply incorrect, please contact our customer service as soon as possible. Please do not attempt to use or install the part! After we accept your return, you will be issued a refund via the same payment method as you had originally used to place the order (PayPal or bank transfer). The refund amount will be composed of the original purchase price reduced by the shipping charges. You will be sent an email confirming receipt of the return and your credit. There is no-refund for installation fees under any conditions. Our company will also not offer reimbursement for any damage acquired during installation or any other use of a product.